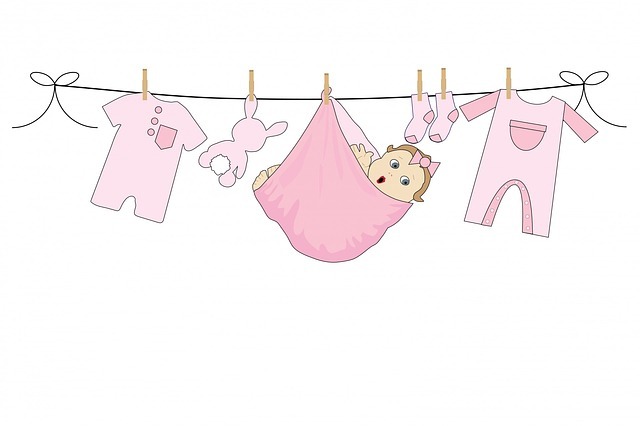 As an expectant parent there are things you’re ready for. You’ve the shopping done (I hope you used my list of things to get ). You’ve the freezer full, the nappies bought, the muslin clothes at the ready. You may have done this before and be welcoming a sibling for your older children, or it may be your first time to hold a newborn in the delivery room or theatre. There are things that other people don’t talk about or don’t tell you. It’s not out of badness, it’s possibly out of the instinctive need to guarantee the preservation of the species, or maybe because they don’t want to appear negative. But like the propaganda my husband and I joked about some things go unspoken. You just won’t know about it til it happens you and then, when you finally admit it, people will nod, not judge as you expected them to. They’ll sympathetically tell you their story. I’m talking about the crying. The newborn crying. The crying when you’ve been up all night with them and they’ve slept all day. It feels like it’s all the time. Your facebook feed tells otherwise, filled with content sleeping baby photos, but when you’re alone in your pjs, unshowered, with a crying baby who won’t be consoled it feels like it’s every second of your life and that it will never, ever end. if your other children didn’t go through this phase you don’t understand. If they did you don’t think it’s fair. You adore your child, you want to make everything better, you think you should know how, but you don’t. You beat yourself up for not knowing. Some babies don’t cry all the time. But many cry a lot when they are tiny. Some cry because they have wind, or colic. Some poor little things suffer from the dreaded reflux, an awful affliction for a small person. Some have undiagnosed medical conditions that have parents sick with worry. But some babies seem to just, well, cry because they are getting used to the world. There are techniques that help ease it. In our house we’ve employed magic swings, kitchen extractor fans, unnecessary journeys in the car, Mr Brightside by the Killers at full blast on the radio (this worked a treat on each of our kids), magic holds, jiggling, swinging, walking, bouncing, rocking, nursing, cradling, It all works for a bit, but it’s like circuit training, and every evening is like bootcamp* (*I have never been to bootcamp). It’s exhausting, mentally, physically and emotional. You want to help this tiny little thing who is so sad and you feel helpless.The walls come in on you. It is hard. I mean this not just in the metaphorical sense. Get out of the house without the baby. Walk, run, drink coffee. Have an hour where you know that you don’t have to hear the crying. There might not even be crying during that hour but you can relax and not be in anticipation of it for sixty whole minutes. Time it directly after a feed and off you go. 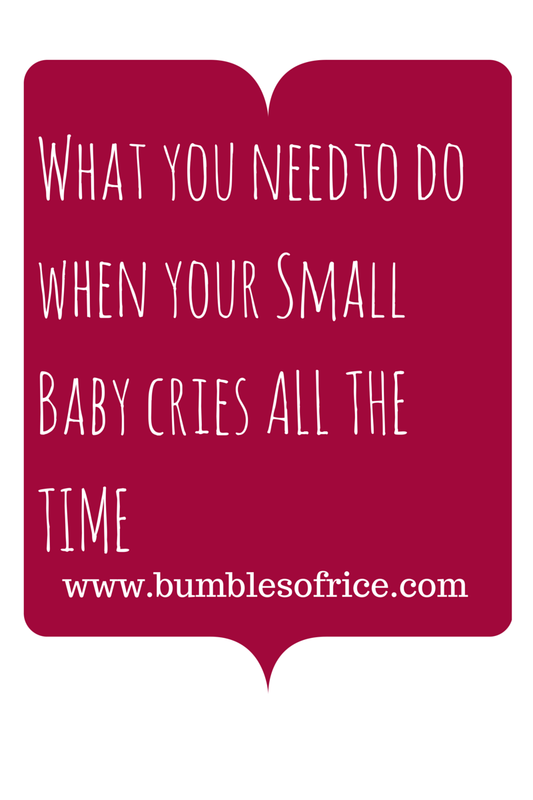 This is what you need to do if you have a small baby that cries all the time. This is key. This means you’ll get through it. It passes so quickly. It doesn’t feel like it now, but it does. Take it from me. Any tips for a whingey one year old? It is amazing how you forget it so quickly afterwards. It totally controls your life at the time and feels like it will never end! Reblogged this on Aine Carson. Reflux and croup combination in 12 week old at the moment… The 20 month old has croup too… Grim. Oh no:) is there a break on the horizon? I’m afraid not – velcro baby.. won’t let me out of her sight at the moment! What a lovely post, really reassuring for new mums! Grocery shopping every weekend without toddler and colicy baby is like a holiday to me.